Car-Registration.org’s Guide To Leasing vs. Buying Vehicles: Which Is Better in the Long Run? Leasing is a great way to get behind the wheel of a new car if you are worried about your credit standing or having to make a large down payment. For years, leasing was primarily used by commercial companies and higher-end buyers, but virtually all dealerships offer leasing opportunities now. Financing can be a hassle for many consumers, but here at Car-Registration.org, we strive to show consumers that they have more than one choice when procuring a vehicle. 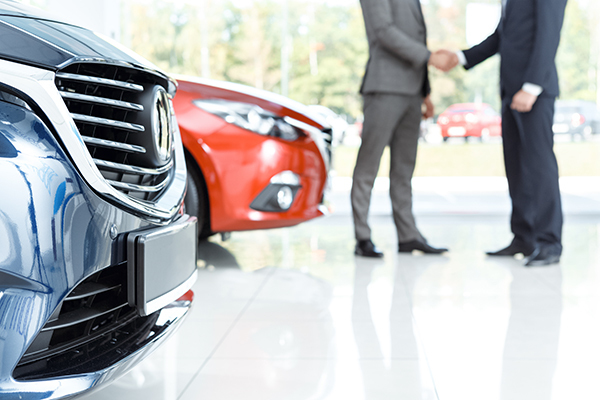 If you are in the market for a vehicle, keep reading to learn the differences and similarities between leasing and buying. Many dealers and manufacturers only require leaseholders to make a small down payment. Some do not require a down payment at all. During a lease, your car will more than likely be covered by the original vehicle warranty. This means that you will not be responsible for covering the cost of any unexpected repairs. Leasing allows you to obtain new vehicle models with greater ease. Despite the fact that you will not be responsible for any major repairs, you will still need to perform regular maintenance on your car. If your vehicle is not in decent condition when the lease terminates, you may be forced to pay additional fees. Leasing requires drivers to adhere to stringent mileage restrictions. If you exceed the set number of miles, you will be subject to astronomical fees at the end of your lease. Leasing is typically reserved for individuals with higher credit scores. Drivers who lease will have no equity in their vehicle at the end of their leasing period. If you want to buy your vehicle at the end of its lease, you will still need to go through the financing process. Financing a car can be a great choice for many buyers. At the end of your loan, the vehicle will become yours, and the lender will transfer the title to you. Car buyers will also benefit from the equity they have gained during ownership. Furthermore, there are no mileage restrictions, which makes buying the ideal choice for drivers with long commutes. Most buyers will have to make a sizeable down payment when financing a car. This can be problematic for buyers on a limited income. If you want smaller monthly financing payments, you will have to extend the life of your loan and pay more interest. In short, both leasing and buying have their own unique advantages and disadvantages. However, the team at Car-Registration.org notes that the only way to make the right choice is to consider your own personal needs and the state of your finances.